Now with 200% more robotic dismemberment! Nietzsche once said, "That which does not kill us, makes us stronger." I'm pretty sure he was referring to mental strength there, but it's entirely possible that he was predicting the core mechanic of NeuroVoider, a game centered around destroying your robotic enemies and subsequently attaching parts of their dismembered body onto your own. Who's to say, really? The folks over at Flying Oak Games have been trudging through the Early Access Marshes for a little less than a year now, with their co-op twin-stick shooter/rogue-lite in tow. Since NeuroVoider's initial incarnation on Steam, its content has doubled in size, and that's to say nothing of the menu revamps and addition of a Daily Run mode. I'm no game development expert, but I'd say that's a pretty sizable feat. For a better glimpse at what this game's all about, check out the release trailer below. To celebrate the game's release, the developers have also pushed out a Deluxe Edition to the masses. Included in that version are Dan Terminus' original soundtrack, some "insane" wallpapers and artwork, 10 prototypes of the game, and a developer commentary video. In case you're already in possession of the original release, you can obtain the above items for a nominal fee. 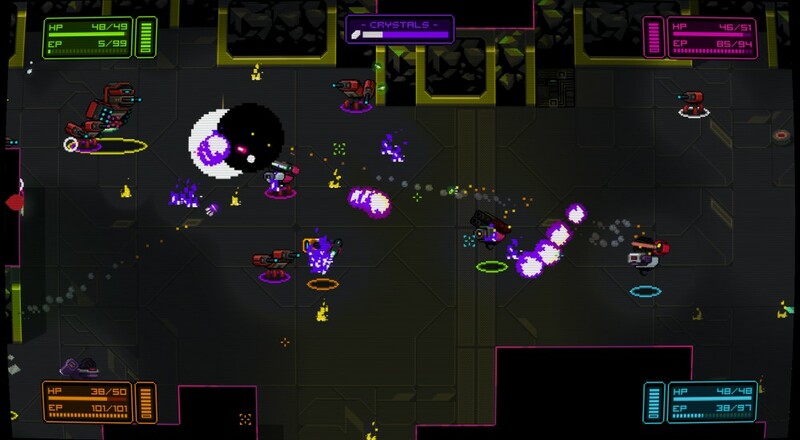 NeuroVoider allows you and three of your best buds to storm procedural levels, destroy procedural enemies, and equip procedural weapons to your hearts' content. If you pick it up, why not leave a comment below and tell us the most ridiculous weapon you created? Page created in 1.2290 seconds.